We're proud to present you another electronic game ported to PlayBook: «You Just Wait!». You Just Wait! 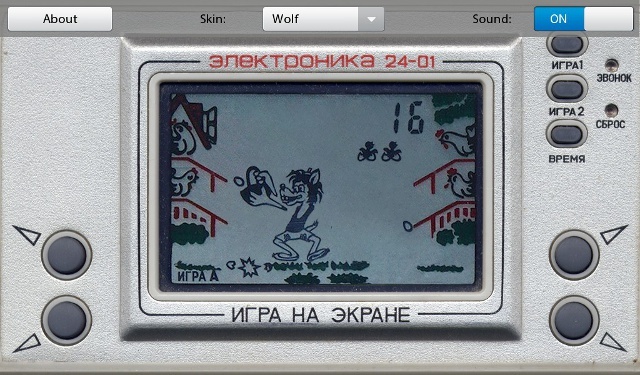 («Ну, погоди!») was the most popular electronic game in the USSR. 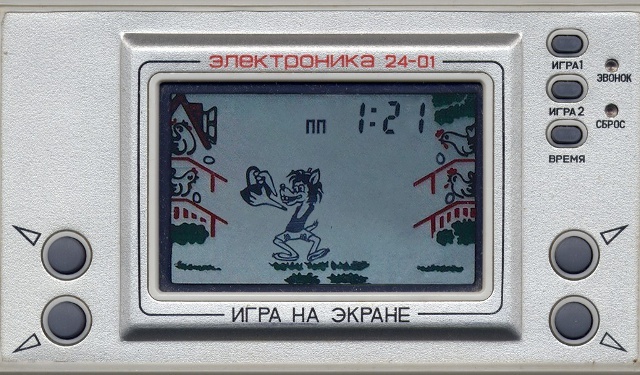 It was a clone of the Nintendo EG-26 Egg from Nintendo Game & Watch line of handheld electronic games. In the game, a wolf is outside a hen house where hens are laying eggs. As the hens lay eggs, the eggs fall out the side of the hen house. The wolf must catch the eggs that fall for one point each. The player is given three lives. Missing an egg causes the player to lose a life, but missing it with the hen appears losing only a half of the life. Lose all three lives and the game is over. 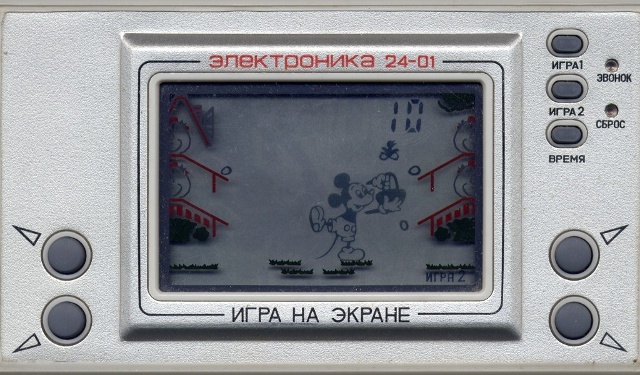 There also was another clone of this game with Mickey Mouse instead of wolf. Only the display was different, everything else was the same. We decided to combine these games - you can switch between characters at any moment. If we receive complaints from the copyright holder, we'll remove Mickey from the game.